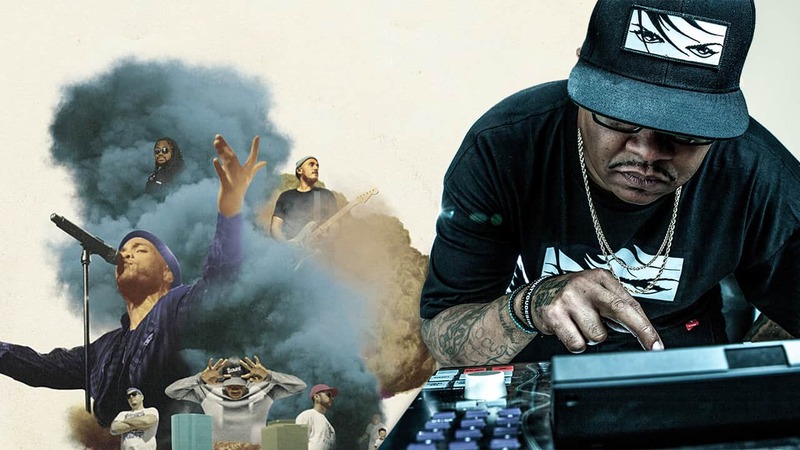 “Cheers,” the final track on Anderson .Paak’s latest album Oxnard, was made with a team of studio musicians, working with Dr. Dre, producer Bernard Edwards, Jr., a.k.a. Focus…, and legendary hip-hop lyricist and producer Q-Tip. 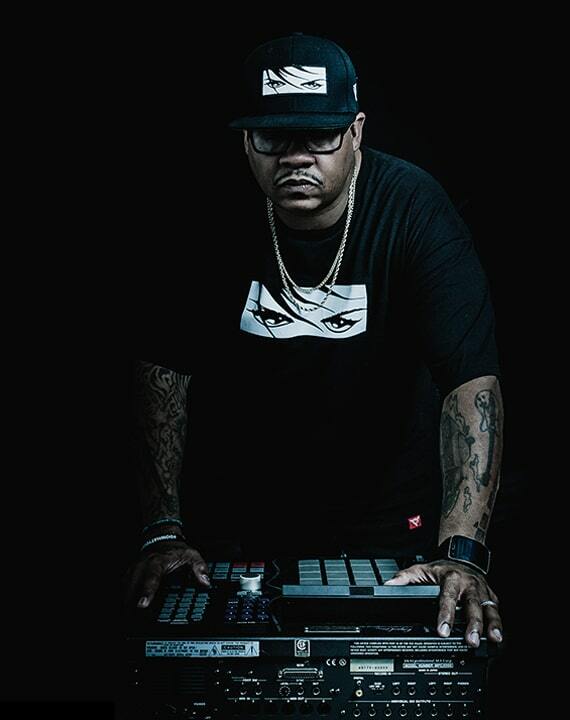 We talked to Focus… about who did what on this collaboration and how he laid down the beat and shaped its unique sound. Focus…, tell us about the studio session for “Cheers.” How did it go down? Who lit the spark and set the tone? The spark was set by Q-Tip and Dr. Dre going through samples in the studio. For those who don’t know, Q-Tip’s one of the greatest producers in hip-hop. Just seeing how he vibes in the studio was amazing. He’s a connoisseur of sound. Q-Tip and Dre agreed on the guitar lick you hear at the beginning of the song; it became the pulse of the track and drove the pocket of the beat. I spliced a drum loop and that became the drum foundation. Musician and co-producer, Andre ‘Briss’ Brissett, started playing the bassline and various additives. Dre had Eric “Blu2th” Griggs, an amazing musician and producer, come through during the final session to lay keys. Dre also made the call for Sly Pyper to play sax on the ending. All of us had a chance to chime in on the vibe Q-Tip and Dre created. This track transitions from a classic funk vibe to hip-hop, neo-soul, and modern jazz. How did you capture so many vibes in one song? As an orchestrator, Dr. Dre likes to create a dynamic experience; it needs to start at one point and go to another. For example, the drop halfway through was a Dr. Dre call. When Anderson says; “Ah, say it ain't so…” Dre wanted to take it to halftime, so I pulled up a session I had in Logic, changed the key of it and it fit perfectly for the drop. We never know what direction the session is gonna take, so we do our best to be ready to execute no matter what direction. The drums have a great pocket and an amazing live feel. Did you blend drum samples with a session drummer recording? Once the guitar sample was chosen, Q-Tip laid a kick so we could establish the pocket. The main drums were chopped from a break beat; chopping up the hi-hat, kick, and snare. Then, I started hand-playing each sound on the keys and that gave the loop kind of a live pocket. When it came to mixing the different drum layers together, Dr. Dre fully understands where each layer is supposed to exist as far as space is concerned, so the different kicks didn't rub against one another even though they had some of the same top action. It was amazing to watch him do that. How did you take the drum sound to the next level? When I was younger I used to play drums, so when I’m tapping on my keyboard or drum machine, I do my best to give my drum tracks a sense of human inflection. Nobody rams the pedal into the kick drum without a little inflection! With a human foot, there’s always a ghost note; I do this by controlling each sample’s velocity individually. Even with snares, if there’s no way to have that human inflection, sometimes I'll find something to put in the pattern as a ghost note. Instead of a straight snare sample, I will try to find a snare-roll or snare-fill sample. You can then chop and slice it to give your snare a more live feel. Then, as a lot of people know, I gate with the Renaissance Vox plugin—my secret weapon for articulation, for getting the right attack out of kicks and snares. When you’re sitting in a room with Q-Tip and Dr. Dre, you want to make sure your drums are tight and hit. How do you humanize hi-hats, shakers, bongos, and other percussion sounds? The drums in the beginning are me tapping on my keyboard like I like to do. That's why it sounds like that. Dre will have us lay things live instead of programming for that live pocket. Q-Tip laid down the first kick. Dre audibly gave me the hat pattern he wanted, then I chose a live-sounding hi-hat to mimic it and played it from the keyboard. I spread out four hi-hats on my keyboard: a tight hat, a loose hat, a mid-loose or slightly open hat, then a complete open hat. I played in real time to get it as live and natural-sounding as possible. The bongos you hear, I programmed those originally. Dre was like, “I like the pattern, but I don't like the sounds—I want to change it,” so I played the same pattern live, finding a better bongo. That's how I programmed the drum parts. It's all the same approach, live playing and tapping on a keyboard to give it the human feel, and then shaping the tone you want with great tools like Renaissance Vox. 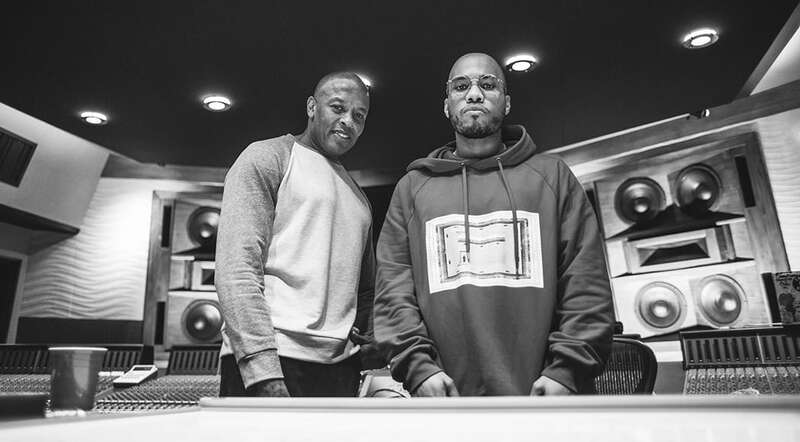 Dr. Dre and Anderson .Paak in the studio. 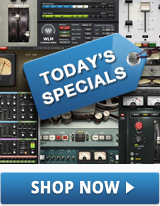 Find more tips on humanizing beats by blending recorded and sampled drums.